Reliance Industries (RIL), India's largest private entity, today said its net profit in 2006-07 crossed Rs 10,000 crore and revenues breached Rs 1,00,000- crore level on record refining margins. As an immediate step to resolve the quality clearance imbroglio pertaining to cement import from Pakistan, New Delhi may allow ‘third party’ certification to clear the cement consignment lying in Mumbai port for several days now. To address the growing signs of overheating in the economy, India needs structural reforms to boost productive capacity so that demand is met and inflation is checked, says global rating agency Moody's. The ad valorem duties and taxes on petroleum products, which constitutes substantial part of the retail selling prices of petrol and diesel in the country should be abolished, said a parliamentary report. The reported differences between the Finance Ministry and the Commerce Ministry over the waiver of service tax on exports has “shocked” exporters, who pointed out that the announcement made in this regard in the Foreign Trade Policy was a major relief to them. The king of fruits, mango, today set off on a long journey to the promised land of America to capture the imagination of yankees and carve a niche in their palate of hot dogs, burger and pizzas. With a target of achieving 20 per cent growth within this fiscal, the United Bank of India will open 150 branches within three years under Core Banking Solutions in north, west and southern parts of India. Tata Tea today said it will acquire the Vitax and Flosana trademarks in Poland, from Premium Foods for an undisclosed amount. Tata Tea's subsidiary, the Tetley Group, has signed a definitive agreement to this effect and it would also fund the acquisition, Tata Tea informed the Bombay Stock Exchange. Jet Airways today announced an expansion plan of £1.9 billion, which is expected to give further competition to the two UK carriers Virgin Atlantic and British Airways. The investment includes an order for 30 new long-haul jets from Airbus and Boeing to upgrade Jet's service from May next month to include a first class ''bedroom in the sky,'' Jet Airways Chairman Naresh Goyal said. Consumer electronics major Sony today launched its much awaited high definition gaming console ‘Playstation 3’ in India, priced at Rs 39,990. US-based IT company, Computer Sciences Corp. will buy rival Covansys for $1.3 billion in an all-cash deal and double its staff in India to 14,000. The acquisition increases CSC's India delivery capabilities and accelerates development of strategic offshore offerings, a joint statement of the two companies said. Hindalco Industries and Vedanta Resources are among eight companies that have submitted bids for acquiring 88 per cent stake of Bosnia's Aluminij Mostar, offered for sale at 76.8 million euros (Rs 427.65 crore). Satyam Computer Services, a leading global consulting and IT services company, today opened a development centre in Sydney. The facility would serve as a regional solutions hub. Reliance Industries (RIL), India's largest private entity, today said its net profit in 2006-07 crossed Rs 10,000 crore and revenues breached Rs 1,00,000-crore level on record refining margins and booming petrochemicals business. 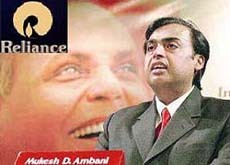 Mukesh Ambani-led RIL recorded a 14 per cent jump in net profit for the quarter ended March 31, 2007, at Rs 2,853 crore as against Rs 2,502 crore during the same quarter last fiscal. Turnover also went up by 4 per cent during the quarter at Rs 27,399 crore compared to Rs 26,448 crore during the same quarter last fiscal, RIL said in a statement. The fiscal year net profit jumped by over 20 per cent to Rs 10,908 crore, against Rs 9,069 crore in 2005-06. Turnover zoomed by 29 per cent to Rs 1,05,556 crore ($25.74 billion) as against Rs 81,894 crore in FY'06. The company earned $13 on processing every barrel of oil in January-March quarter as compared to $10.4 a year ago, reflecting a premium of $6.2 per bbl over the benchmark Singapore crack margins. RIL generates 65 per cent of its revenue from refining business and earned $11.7 a barrel in 2006-07. Reliance, which will next year commission a second refinery, start production from its prolific gas field off the east coast and extend its retail chain, said it made four more discoveries during the fourth quarter. Of this, three discoveries are in KG-D6 block (Krishna Godavari basin off Andhra coast) and one in NEC-25 (Mahanadi basin off Orissa coast). “The issue is being debated at the highest level and there is a possibility that India, as a temporary measure, might allow third party quality certification for cement from Pakistan to cut on the delay in clearance at Indian ports,” sources said. About 525 tonnes of cement has arrived in Mumbai port from Pakistan and there is a delay in its clearance as the exisiting rules makes it mandatory to have Bureau of Indian Standards’ (BIS) quality control order certification for all cement, whether domestically manufactured or imported. “However, to even allow ‘third party’ certification, the government will have to amend rules, which may take some time,” sources pointed out. Meanwhile, Pakistan has been mounting pressure on India to find an amicable solution to resolve this issue at the earliest. As an immediate measure, the Mumbai port authorities have agreed to forgo rentals till the consignment gets quality clearance. A high-power Pakistani business delegation, led by the president of Islamabad chamber of commerce and industry Muhammad Nasir Khan, has also took up the issue of difficulties faced by Pakistani cement exporters due to quality certifications, with the minister of state for industry Ashwani Kumar here. Khan said he had urged the Indian Government to allow transportation of cement through Wagah/Attari border for the benefit of businessman of both the countries. The landed cost of imported cement is around Rs 170 per 50 kg bag as against the Rs 240 charged by the domestic producers. Even if another Rs 30 is added to transportation cost, Pakistani cement will be Rs 200 per 50 kg bag. "The pursuit of macroeconomic stability by India's monetary authorities is at a critical phase and is important not only from a business, policy, and political perspective, but also for ensuring the long-term sustainability of public finances," Moody's vice-president Kristin Lindow said. "We are cautiously optimistic that deep-seated political hurdles can be overcome to achieve fundamental progress in this area, which is the rationale for our stable rating outlook," Lindow added. Moody's pointed out the current signs of overheating in the economy include higher-than-acceptable inflation, growing merchandise trade deficit, still-high rates of domestic credit growth and the rapid rupee appreciation. Such trends are neither transitory, coincidental nor independent from one another, rather, they are the result of a structural shortfall in the absorptive capacity of the economy, she said. The credit policy announcement earlier this week by the RBI has indicated a heightened level of concern about its ability to restrain aggregate demand and avoid exacerbating strains on the economy's output potential. The central bank also said that supply response to the growing demand would be delayed because of constraints. “The government should go in for a comprehensive reform in the taxation of petroleum products, including the abolition of the ad valorem component in the taxes/duties on petroleum products,” said N Janardhana Reddy, chairman of the Standing Committee on petroleum and natural gas. The report tabled in the Lok Sabha said the tax component in the retail-selling price of petrol and diesel in Delhi is 53 and 31 per cent, respectively. The price of petrol without customs duty, excise duty and sales tax component in Delhi is Rs 20.29. With the addition of customs duty of 3 per cent, excise duty of 34 per cent and sales tax of 15 per cent, the retail price of petrol is Rs 42.85. In the case of diesel, it is 21.01 without customs duty, excise duty and sales tax component. With the levy of customs duty (5 per cent), excise duty (16 per cent) and sales tax (10 per cent), the retail price touches Rs 30.25. Reddy said another cause of concern is the high and varied rates of sales tax/VAT prevailing in various states, leading to varied selling prices of such products across the country. “There is an urgent need to effect a substantial reduction in the rates of duties and taxes on petroleum products,” it said. The government had reduced the ad valorem component of excise duty on petrol and diesel from 8 to 6 per cent in the union budget. This, the parliamentary committee observed was not enough and recommended complete abolition of ad valorem duties/taxes. Reddy said the annual collection from the cess levied on indigenous crude has been to the tune of Rs 5,000 crore and since inception and up to September 30, 2006, the central government has collected more than Rs 64,000 crore. However, only a paltry sum of Rs 902 crore has been made available to the Oil Industry Development Board. “When Commerce Minister Kamal Nath announced removal of service tax on exports in Foreign Trade Policy we were happy and thought at least part of the rupee rise impact would be made up. But reports of differences between Finance and Commerce Ministries on the issue has shocked us," Federation of Indian Export Organisations President Ganesh Kumar Gupta told newspersons. “If at all there were any differences, the two ministries should have resolved it before the policy announcement was made,” Gupta said here. Finance Ministry is reported to have expressed its displeasure over “unilateral and premature” announcement, while the Commerce Ministry has refuted the former’s contention. Convenor of FIEO Committee on International Trade Subhash Mittal, who runs a 'star' category export house, said: "The way every other move of the Commerce Ministry is opposed by the Revenue Department, the solution, however weird it may look, lies in merging the Finance and Commerce Ministries". Exporters, who are likely to meet Nath shortly for consultations, said the export target of $160 billion for 2007-08 would not be met if the government and the RBI did not intervene to halt the rupee rise. The first consignment of 150 boxes of alphonso and kessar mangoes, primarily from the orchards in Gujarat and Maharashtra, left India by air to New York, thus ending the 18-year-long ban. Washington had stopped import of mangoes 18 years ago as they felt that Indian farmers were using too much pesticides. The first consignment of mangoes has opened enormous business opportunity between the two countries. According to estimates, the demand for mangoes in the US is about 2,50,000 tonnes. The leading exporters of mangoes to US is Mexico with Central American countries following. Opening of the US market for Indian mango spells an excellent business opportunity for Indian mango producers and it is now for the Indian entrepreneurs, mango growers and trade associations to realise the fruits of the efforts of the ministry of agriculture. Indian mangoes have a fairly good advantage in this highly competitive market as there is no import duty on mangoes exported to the US. Also, the interest Indian mangoes have generated and the large and growing Indian community there. With a target of achieving 20 per cent growth within this fiscal, the United Bank of India (UBI) will open 150 branches within three years under Core Banking Solutions (CBS) in north, west and southern parts of India. The bank will go outside east and north-eastern market with its expansion proposals and open branches in Uttar Pradesh, Punjab, Haryana, Madhya Pradesh and other southern states. Meanwhile, the bank has reported a total business of Rs 59,808 crore in 2006-07 compared to Rs 37,167, registering a growth of 32.3 per cent crore in the corresponding period last year. The advances in 2006-07 rose to Rs 22,641 crore from Rs 15,963 crore in the same period in the previous year, registering a growth of 41.8 per cent. Nicholas Piramal India Ltd (NPIL) today posted a 28.38 per cent drop in profit after tax (PAT) at Rs 26.92 crore for the fourth quarter ended March 31, as compared to Rs 37.59 crore for the same quarter in the last fiscal. Total income of the company, however, rose by 12.83 per cent to Rs 387.21 crore for the January-March quarter this fiscal, NPIL informed the BSE. Meanwhile, the board of directors declared final equity dividend of 25 per cent on 20.90 crore equity shares of Rs 2 each. This is in addition to the interim equity dividend of 150 per cent, which was declared on March 15. Cadila Healthcare today posted a 68.16 per cent increase in net profit at Rs 37.5 crore for the quarter ended March 31, as compared to Rs 22.3 crore for the same quarter last year. Total income of the company grew by 22.21 per cent to Rs 354.8 crore for the quarter ended March 31, from Rs 290.3 crore for the corresponding quarter a year ago, the company informed the BSE. The company has declared a dividend of 80 per cent on the increased capital of 12.56 crore equity shares for the financial year ended March 31. Motor Industries Co (MICO), a member of the Germany-based Bosch Group, today reported a 60 per cent jump in net profit at Rs 183.80 crore for the first quarter in the current fiscal ended March 31, as compared to Rs 114.91 crore for the corresponding quarter in last financial year. Tata Tea today said it will acquire the Vitax and Flosana trademarks in Poland, from Premium Foods for an undisclosed amount. Tata Tea's subsidiary, the Tetley Group, has signed a definitive agreement to this effect and it would also fund the acquisition, Tata Tea informed the Bombay Stock Exchange. The acquisition would catapult Tetley to the number two position in the Polish tea market with a 10.5 per cent value share and a turnover of $36 million. 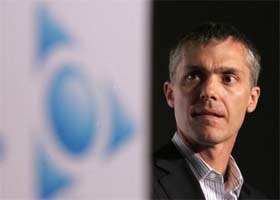 The combined turnover of Vitax and Flosana brands is $23 million. "There is significant potential to grow the fruit and herbal market in Poland and it makes sense for us to acquire an established and successful range of fruit and herbal products, rather than start afresh with a new Tetley range," Tetley Group managing director of Europe Garry Nield said. Vitax is one of the leading players in the Polish speciality tea segment and their range of fruit, herbal and green teas complements the Tetley portfolio of black and Earl Grey teas. This transaction will allow Tetley to offer the Polish tea drinker a wider choice of great tasting teas whilst continuing with strong distribution arrangements to deliver outstanding customer services, Nield added. Jet Airways today announced an expansion plan of £1.9 billion, which is expected to give further competition to the two UK carriers Virgin Atlantic and British Airways. The investment includes an order for 30 new long-haul jets from Airbus and Boeing to upgrade Jet's service from May next month to include a first class ''bedroom in the sky,'' Jet Airways Chairman Naresh Goyal said. Goyal claimed that services of Jet to India would undercut both British Airways and Virgin on price. He added that Jet's first class fare on London-Mumbai would be 20 per cent cheaper than the equivalent British Airways fare at £4,421. Jet is due to take delivery of 20 Boeing 777 and Airbus A330 aircraft over the next two years to expand its current long-haul fleet. It has also recently signed an order to buy 10 Boeing 787 Dreamliners, with the first aircraft arriving in 2011. The company is aiming to sell 10,000 units of the popular console in the current fiscal and looking to retain the lead in the $45 million Indian gaming market as well. Sony has initially shipped 1,200 units of console for sale in India. The company plans to sell half of its new consoles through its own outlets ‘Sony World’, while the remaining half would be sold through retail chains and music stores. US-based IT company, Computer Sciences Corp. (CSC) will buy rival Covansys for $1.3 billion in an all-cash deal and double its staff in India to 14,000. "Computer Sciences Corporation and Covansys Corporation have entered into an agreement under which CSC will acquire Covansys for $34 per share in an all-cash transaction. The eight companies submitted non-binding bids on April 23, according to Deloitte Consulting Services, one of the financial advisers for the sale.